Last night, I came across this advertisement for the Georgia Provost for District D campaign on my telephone. The over-the-top display really goes all out against frontrunner Dwight Boykins. The astute will remember two attacks focused on Boykins over the summer, largely criticizing the candidate for voting once in a Republican primary and sometimes giving meager sums of money to unopposed, incumbent Republican officeholders. The two perceived transgressions were enough to label Boykins as a “Republican.” The dirty tactics, which were condoned by multiple minor candidates, featured imagery of Boykins photoshopped next to prominent Republican politicians. Now it appears that Georgia Provost, Boykins’ opponent in the December runoff, has given into these unsubstantiated attacks. Click here to read more about this ad! The Houston Chronicle reports that Mayor Parker has doubled down on her calls to institute a comprehensive non-discrimination ordinance protecting LGBT people in Houston. 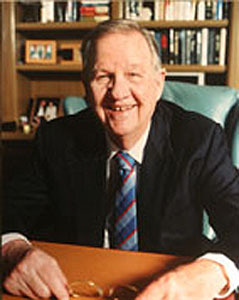 When Mayor Lee Brown took office in 1998, he issued an executive order forbidding municipal employees from discrimination because of sexual orientation. In 2010, Mayor Parker took office, she expanded this to also include gender identity. The San Antonio ordinance, by comparison, prohibits employment discrimination in all forms and bans all city-condoned discrimination, including in public housing. Mayor Brown restored the protections in 1998, and attempted to push through a domestic partnership package near the end of his career, in 2001. At that point, a charter amendment was approved —with a mere 52% of the vote— to ban any “plus-one” benefits for municipal employees. If 2001, the height of the culture wars and homophobia, could only muster 52% in support of discrimination, a repeal effort would surely cruise to victory today. While I do not see why charter language prohibiting partnerships would preempt a non-discrimination ordinance, the City Attorney, David Feldman, thinks it is a somewhat substantial roadblock. “We would have to either accommodate the prohibitions in the charter or, to effectuate it as San Antonio did, we would have to put an amendment on the ballot. The cleanest thing would be to take it the voters,” Feldman told the Chronicle. Morris then interviews both Ellen Cohen and C.O. Bradford on the matter. Both appear to support it, but Bradford is somewhat more tepid (probably in an attempt to take a shot at the Mayor more than anything pertaining to the issue). If the issue goes on the ballot, it would hopefully do so in 2014. Next year will most likely be a pretty awful one for Democrats and Democratic values nationwide, but I would predict that in a city as progressive in Houston, considering how far most people have come on the issue, the amendment rescinding the discrimination would probably pass easily. Perhaps the biggest immediate story on this whole issue is a tidbit at the very end of the article. Morris notes that “A campaign spokeswoman for Parker’s top challenger this fall, Ben Hall, declined comment.” I attempted to contact Hall’s campaign myself, but received no response by press time. However, Morris uses the word “declined,” indicating to me an active rejection. This would appear to me that Morris got in contact with the campaign, and was stonewalled when he brought up the ordinance. It is the height of hypocrisy to participate in the gay pride parade yet not stand up when questioned about gay rights, specifically gay marriage. His statement come across, to me, in my humble opinion, as a whimpering sycophant, seeking the approval of the crowd but when directly questioned, equivocates as to his approval on the issue at hand. Ben Hall would too be a whimpering sycophant if he opposes this proposed charter amendment. For the good of this city and his campaign, I hope he is not. UPDATE: Ben Hall DOES NOT support gay marriage. Whimpering sycophant, indeed. Hall still has yet to take a position on the issue of the non-discrimination ordinance or domestic partnership benefits, but given his position on gay marriage, I have a bad feeling about the issues now. Hall’s campaign truly needs to figure out what side of the aisle they occupy. 72% of Democrats, which Ben Hall ostensibly is, support gay marriage, as do over 80% of people under 30. To take such a reactionary position on the issue in such a liberal City is horribly damaging to his brand and his chances as a candidate. Annise Parker has been endorsed by the AFL-CIO. The labor organization lauded Parker for not being too austere with city services and for helping the Middle Class. With the disappearance of labor support, the paths to victory for Hall keep getting smaller and smaller. I believe the time has come and gone for a competent Republican to run for this office. Any GOP candidate that would enter over the summer would probably only put up token opposition (a TJ Huntley of sorts). Accordingly, we are going to have to start discussing the reality of an election with only two major candidates. Such an election could easily be solved in November if the fringe candidates don’t take away too many votes. Hall still has a chance, but he would have to do quite a few things first. The Mayoral election of 1991 brought the idea that Mayors would have to be “moderate” in order to win the election. This was allegedly evident by Bob Lanier’s defeat of Kathy Whitmire after so many years in office. Throughout the 90s and most of the 00s, Houston retained an identity as a broadly centre-left city, which would still elect some real conservatives to citywide positions (Michael Berry and Shelly Sekula-Gibbs, to name a few). Accordingly, Lee Brown faced some excruciatingly tough and close elections, and Bill White retained the identity of Lanier’s moderation. The first is that they are such a RINO that nobody even knows or can tell they are Conservative. This was my experience with Stephen Costello. I wasn’t very in 2009 because of his political affiliation, but by 2011, I didn’t really care what letter he chose to put next to his name. The second is that the candidate’s opponent is either incompetent or horribly unpopular (or both). Jack Christie is the perfect example of this. Last but not least, if the Republican/Conservative is just so then there is still a chance of victory. This is what I call the “Kubosh Coalition.” Michael Kubosh has a very god chance in November, mainly because of all of the support he may garner from the African-American community. Now, the vast majority of Houston Conservatives can’t say the same, so this is a very special occurrence. Hall isn’t a Conservative by any means, but the consensus is that he will have to masquerade as one if he wants to win. White Progressives aren’t going to vote for him when they like the incumbent. With Labor now out of the question, Hall has to become a “Kubosh Conservative” if he wants to win. Perhaps I missed this, but it is news to me that Ben Hall now has a gigantic list of his supporters on his website. Many of these names stood out to me. I have taken the liberty of creating a Wikipedia page for this year’s mayoral election, which lists most of this info, but I would like to go over some of the more surprising supporters. It is no surprise that Dr. Hall would receive the bulk of his politician endorsements from the African-American community, but it did catch me off guard how pervasive his support was. There were rank-and-file politicos like Jarvis Johnson and Carol Mims Galloway who were listed, which is almost expected. However, the three African-American politicians who were on the list, and three who were off the list, which I would like to talk about a little bit. C.O. Bradford, Lee Brown and Al Green were all listed as supporters of Dr. Hall’s candidacy. However, Dwight Boykins, Ronald Green and Sheila Jackson Lee are all conspicuously absent. Now, Bradford did support Parker in 2009, but got into a somewhat high profile feud with her before the 2011 elections, during which rumors actually floated about him challenging the Mayor in the election. I cannot remember if he ever came around to Parker’s candidacy in 2011 after nobody feasible ran against her, but it makes some sense that he would immediately jump on the bandwagon to endorse Parker’s opponent. Ronald Green, on the other hand, never really had a rocky spell with Parker, and, by all accounts, the two still get along pretty well. However, Ronald Green and Bradford have something in common: they both have higher ambitions. Personally, the first time I met both of them, I felt a very strong inkling that they wanted to be the Mayor, sort of like when one meets the Castro brothers, you know they want to be Governor/Senator/President. Accordingly, I find it interesting that Bradford would endorse Hall, who will probably lose, if he might be interested in running in 2015. Second, I find it very intriguing that Dwight Boykins,who is running for the City Council with some very high profile support, is not listed among Hall’s supporters, but his honorary campaign treasurer, Lee Brown, is. For that matter, some of Boykin’s supporters, like Borris Miles, have also stayed out of the race. I am going to assume it has something with the fact that as someone who is probably getting elected, Boykins won’t want to be on the Mayor’s bad side. Third, Al Green is a public supporter, while Sheila Jackson Lee is not. Green, if you might remember, was the one who made Hall stand down and endorse Locke back in 2009. I guess Green felt obligated to help Hall this time around. I suppose that Jackson Lee is more tepid to support Hall as some of her former political opponents (e.g., Jarvis Johnson and Craig Washington) are in Hall’s column. Another point I would like to make is that Bob Lanier is quoted and prominently featured on Hall’s website, as providing a testimonial that reads “He is exactly what Houston needs at this time.” However, Lanier is not mentioned among Hall’s official list of supporters, and the quote isn’t dated, leading me to think that, maybe, he said this back in 2009. Finally, I was surprised by how many people in the Jewish community support Hall. Alan Rosen, the recent Constable for Precinct 1, and Alvin Zimmerman, his campaign strategist, aren’t really surprises, but I saw a few names of the parents of people I went to Hebrew School with (PLEASE NOTE: The “Hurwitz”s that endorsed Hall are not related to me, I have an “o” in my last name). Just as an aside and a blast from the past, Rod Paige, Bush’s 1st term Secretary of Education, is listed as a supporters. Also, someone is listed with the name “Drayton McClane,” which may or may not be a typo for Drayton McLane, as in the former Astros owner. Parker doesn’t have a supporters page, but I assume it will be a priority now. Can’t wait to see who I find on her list! I have four things to say about this. First, Lee Brown is his treasurer! Second, I really like that he having what looks to be a legitimately free, family-focused event for his kickoff, located in a Shopping Centre. This is very different from most local politicos these days, who have $250-a-plate kickoffs at restaurants. He is really trying to be a community candidate, and that is quite respectable. Third, he has a website, which is a development for me. His website can be reached –> here –> and will also be put onto my election tab soon enough. He also has a Twitter –> here –> which has 100 followers (more than Ben Hall). He has a Facebook page –> here –> with not quite so many likes. For a City Council candidate to have such an awesome Social Media infrastructure this early is noteworthy, especially from a District candidate. He has also snatched up quite a few key endorsements from major politicos in the African-American community and beyond. Besides Mayor Brown, Boykins can claim the support of State Representative Borris Miles, former HISD Trustee Arthur Gaines, former City Councilmember Jew Don Boney, former District Judge Levi Benton (a Republican), HCC Trustee Michael Williams and HISD Trustee Paula Harris. Additionally, Sheriff Adrian Garcia and former Congressman Chris Bell support Boykins. Cassius belli, so do I. On a completely unrelated note, I will be writing the Wikipedia articles entitled “Houston mayoral election, 2013” and “Houston elections, 2013” this next week. I may start redirecting people there to keep track of Websites, Social Media, Endorsements, etc. Also, I will be back in Houston next week!